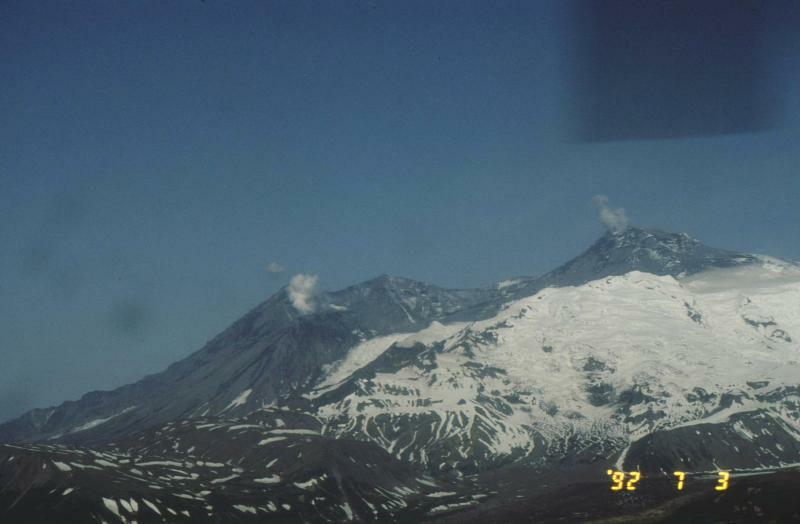 Twenty-two years ago, on June 27, 1992, the Crater Peak vent on Spurr volcano began the first of three eruptions (June 27, August 18, and September 16-17) in 1992. Spurr is on the western side of Cook Inlet, about 80 miles southeast of Anchorage. This eruption was preceded by weeks of seismic unrest, and upwellings in the crater lake. The June 27 eruption plume reached a height of 9 miles and carried ash north, over the Alaska Range.